SOMETIMES when you walk through wild and lonely countryside you experience a creeping realisation that things haven’t always been the way they seem. 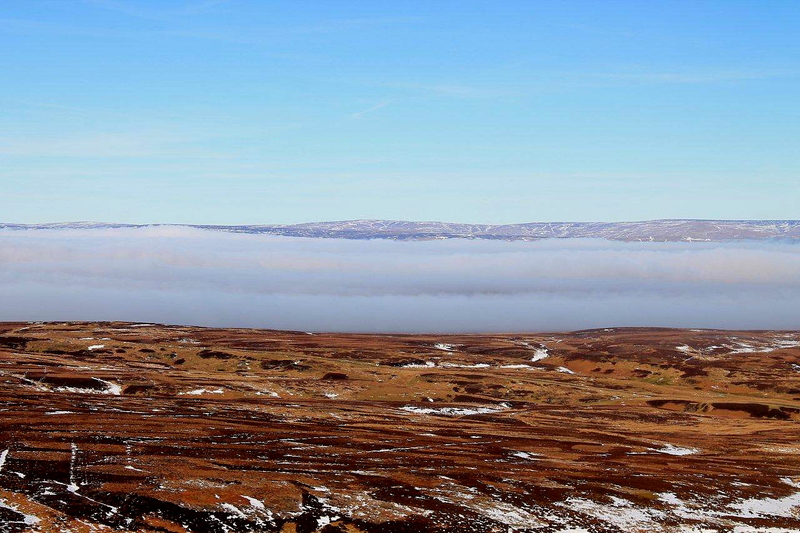 The heathery moors to the west of Reeth, in the northern Pennines, are empty places except for a scattering of 19th Century lead mining remains and a few structures and tracks associated with grouse shooting. 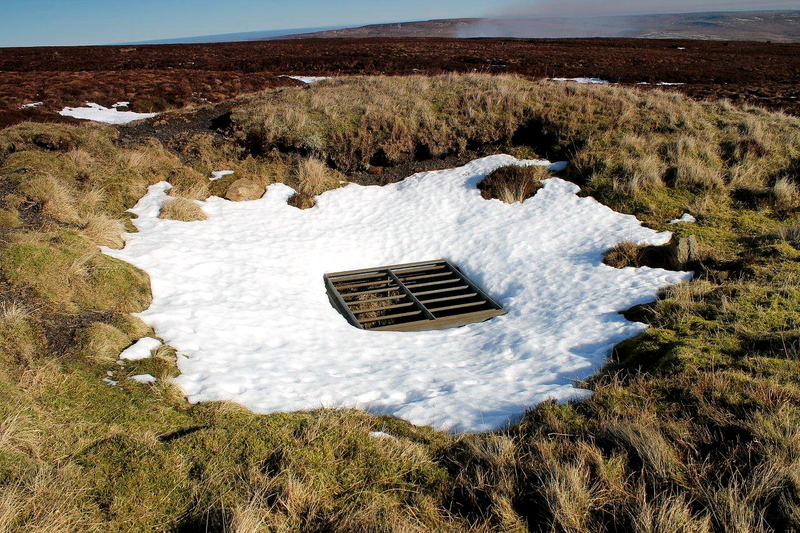 But a walk from Whaw to Tan Hill across Arkengarthdale Moor reveals some interesting features and points towards a darker past . . .
Today, men are burning heather on Arkengarthdale Moor. It’s a traditional practice – called swaling in some parts of the country. Patches of mature heather are burnt off to encourage nutritious green shoots for grouse to devour. This is how the moors are managed. It’s always been like this. Hasn’t it? A young man on a quad bike overtakes me on the track that climbs towards Great Punchard Gill from the village of Whaw. He’s transporting gear to help with the burning. 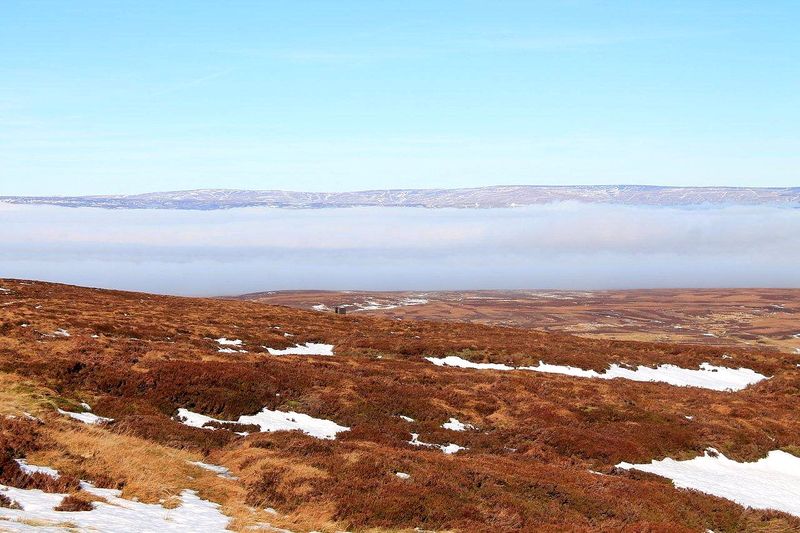 It’s a time-honoured scene: streams of grey smoke rising into a flawless blue sky from rolling moors. Gamekeepers controlling the flames. Grouse clucking and cackling in the undergrowth. The occasional clatter of wings. The uplands of rural England are the haunt of the rich as well as the grouse; they are the playgrounds of aristocracy and those fortunate enough to be wealthy beyond reason. Perhaps we should be thankful that these dedicated souls excluded the masses until very recent times and devote their energy to keeping the moors in pristine condition. I can sort of appreciate why they didn’t want us ordinary folk up there with our Tupperware sandwich boxes and dubious table habits. 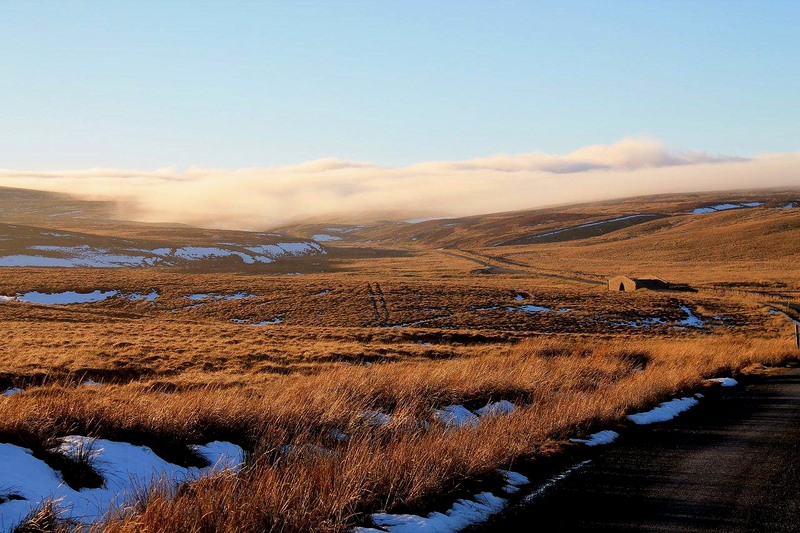 On this beautiful February morning I have a flexible plan to walk across desolate countryside to the Tan Hill Inn – Britain’s highest public house. 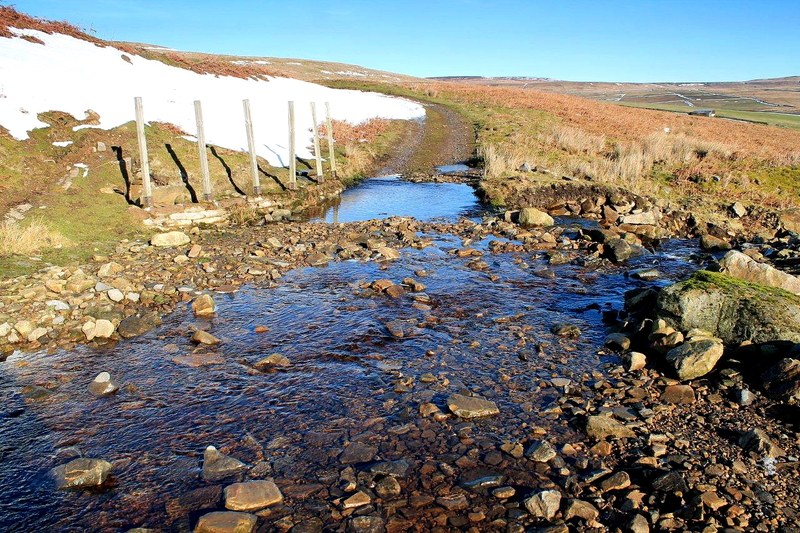 A right of way wiggles across the moors for just under seven miles (11km) to the pub doorstep. Nowadays, rights of way in landscapes such as these have lost a degree of their former significance because the Countryside and Rights of Way Act 2000 has opened England to the English. But they remain essential as navigational aids and historical timelines. 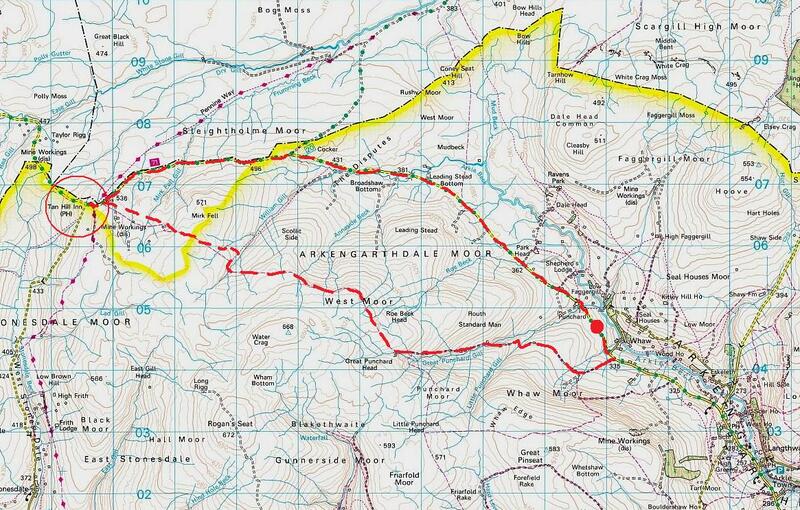 I’m calling it a “flexible” plan because, according to my map, there is nothing up there except elevated bogs and featureless moorland, and I reserve the option to veer north at any given point to seek the variety offered by the old turnpike road. But in a way it’s an adventure. It is country where my feet have never walked. And it has the added advantage of having a pub as its destination, even though the strongest drink I intend to purchase is tea. 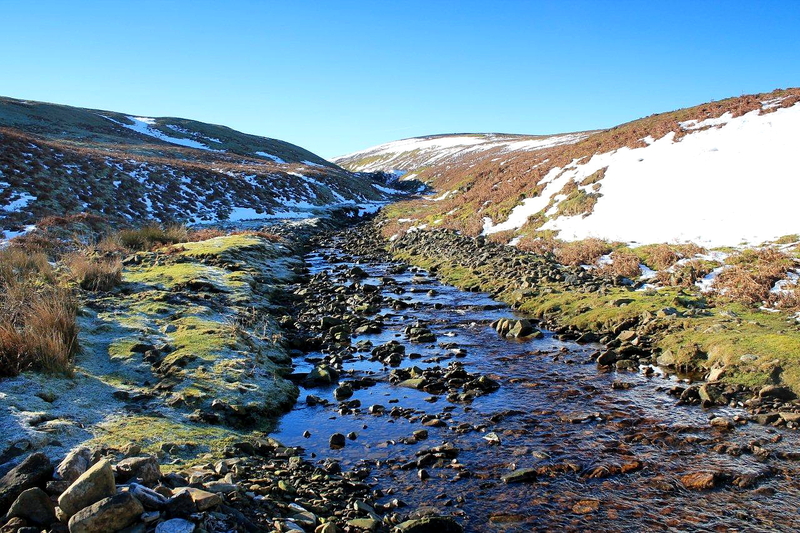 So I follow the young man on his quad bike across empty acres of frozen ground, leaving the lead-mining areas of Surrender, Old Gang and Friarfold behind as I climb this steady track into Great Punchard Gill. My first interesting discovery in this land of grouse is a fine brace of lime kilns. And higher up Great Punchard Gill I stumble upon the remains of a colliery. So in distant times this was quite a busy place, with limestone quarrying and coalmining taking over from where the lead mining finishes. There was life before grouse, it seems. People laboured in this area before the genteel art of shooting became fashionable. I head into the west along a decent path, passing long-abandoned colliery shafts, some of which have collapsed in on themselves while others are protected by metal grilles. 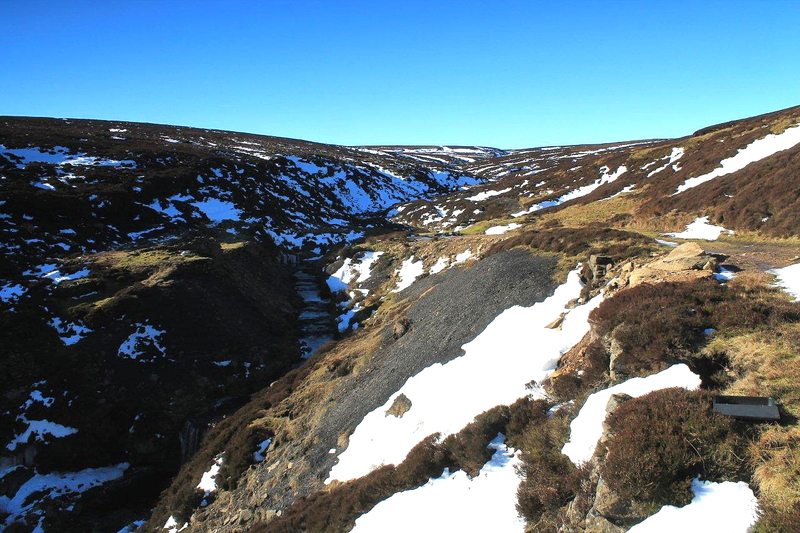 These impoverished moorland pits produced low-grade coal from mediaeval times until the late 19th Century – but they did not provide the main domestic and industrial fuel supplies for the locality. The dominant source of energy was won from the watery bogs beneath my feet – from the sods themselves. 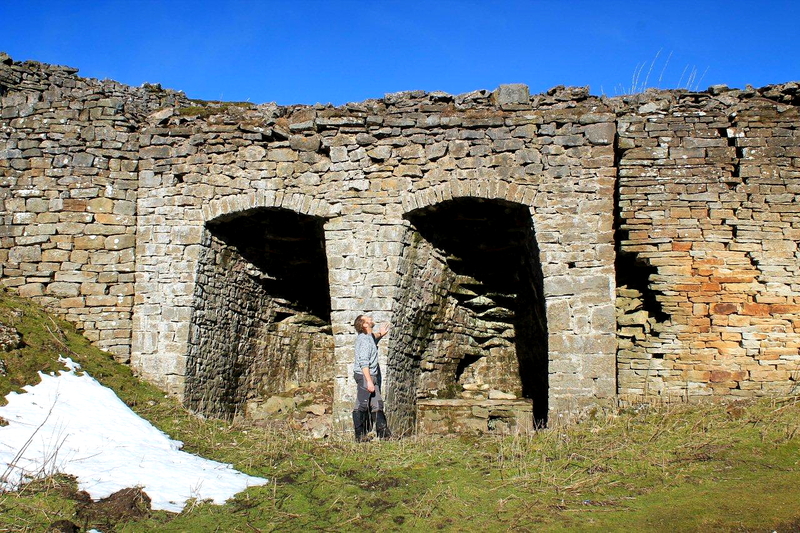 The lead-smelting mills at Surrender and Gunnerside relied on peat to fuel their furnaces, and the ruins of their vast peat stores can still be seen standing like barracks buildings on the hillsides. Local people possessed turbary rights, which allowed them to dig peat for domestic fires and to roof their cottages. This practice was not confined to the Pennine dales. 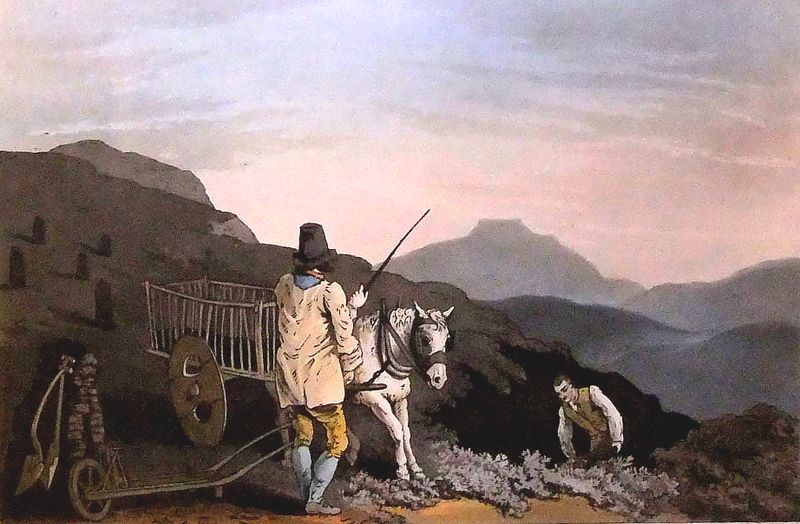 Before the advent of the railways brought cheap, high-quality coal to the remote valleys of England and Wales, digging peat was a way of life for a large percentage of the population. So the industrial revolution did the land-owning classes several big favours. Not only did they benefit financially from the ownership of mineral rights and the exploitation of the riches beneath their estates, their moorlands were cleared of tiresome peasants as peat fell out of fashion. This state of affairs coincided with the advent of grouse-shooting as an exclusive activity. The rich couldn’t lose. But they never do. Incidentally, turbary rights were never abolished; they became obsolete and so failed to be included when much of our common land was formally registered in 1965. Some areas retained their rights, one being Eskdale in Cumbria. Anyone wild camping on the Great Moss (there’s one of those telltale peat-cutting words again) beneath the Scafell range might have an argument for digging peat to cook their dinner if they are bolshie enough. Back to the walk. I follow the footpath across West Moor and skirt along Annaside Edge towards great Scollit Hill, but despite the clear skies and extensive views – and the fact that a temperature inversion is forming a spectacular bank of low cloud in the west – my thoughts refuse to be drawn from the enthralling history of these parts and the pertinent fact that an important section appears to be missing. How did we – the lead-mining, coal-digging, wood-gathering, gorse-slashing, bracken-mowing, peat-cutting lowly folk – suddenly find ourselves in the position of being banned from our own hills? We didn’t consciously surrender our rights. We didn’t swap the privilege for the obvious advantages of an HSBC bank account in Switzerland complete with shell company in Lichtenstein. Yet somewhere along the twisting timeline of history the forces of low morality occupied the high ground and the rest of us were relegated from worker-cottager status to trespasser status. Thankfully, the 2000 Act wrested our uplands from the grip of recalcitrant landowners and plonked them in the 21st Century in one swoop. But was it enough? Did that landmark legislation fall short of a greater good? I’m still smarting from being thrown off nearby Hoove by a landowner and his gun-toting gamekeepers in 1982. And I rather fancy having my turbary rights back. I reach William Gill, which sounds like a man’s name but is actually a boggy moorland defile. At the head of the gill is another of these small moorland pits – William Gill Colliery. Again, this is empty, featureless countryside – but go back just over a century and it was an industrial environment with head-frames, wagonways, horse gins, and grimy people trampling all over the place. The footpath between William Gill and Tan Hill is indistinct. This sudden decrease in footpath quality coincides with my immersion in the fog bank welling up from Cumbria. 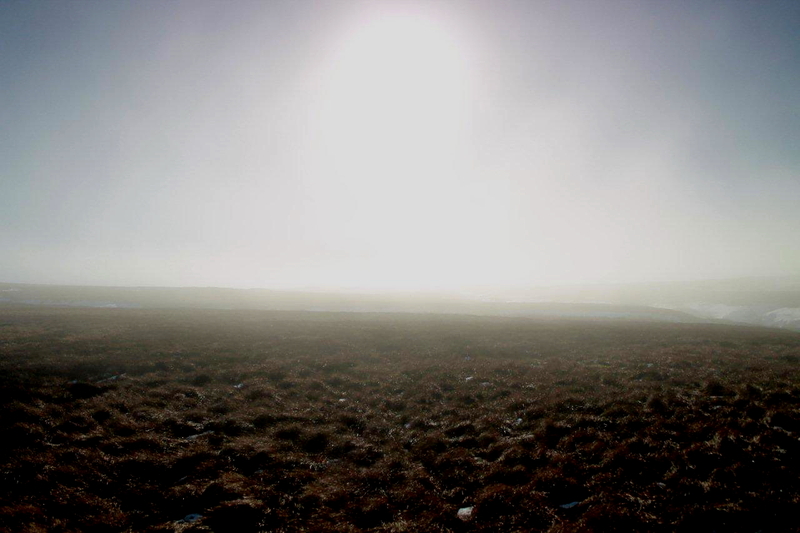 The empty moorland becomes a very blank and bewildering canvass. 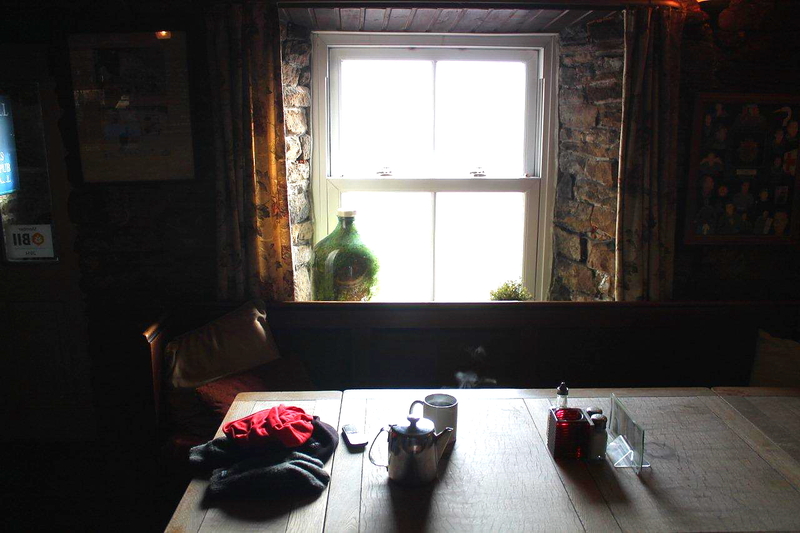 Playing safe, I set a compass bearing for the only feature within miles – the Tan Hill Inn – and in less than half an hour I’m standing before a roaring coal fire. Peat would have been more appropriate, but trespassers can’t be choosers. 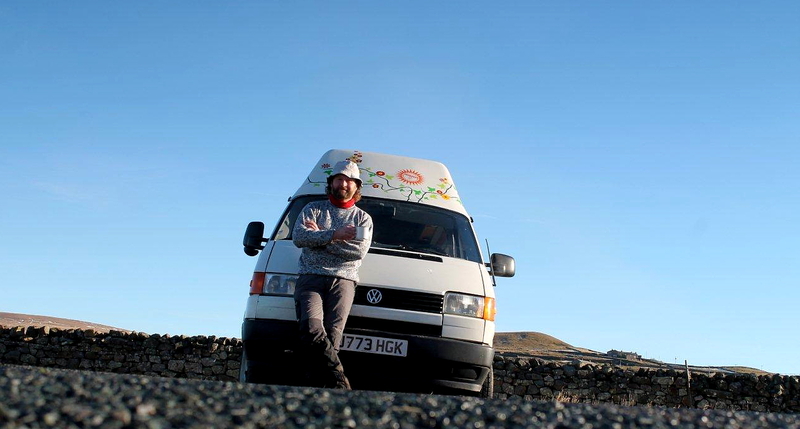 Here’s some worthwhile information: a pot of Tan Hill tea costs £2.40. There’s sufficient for three large mugs, so that’s about a pint-and-a-half of good-quality tea. I’d provide a metric equivalent but there are some things that should never be measured in litres and one of them is tea. 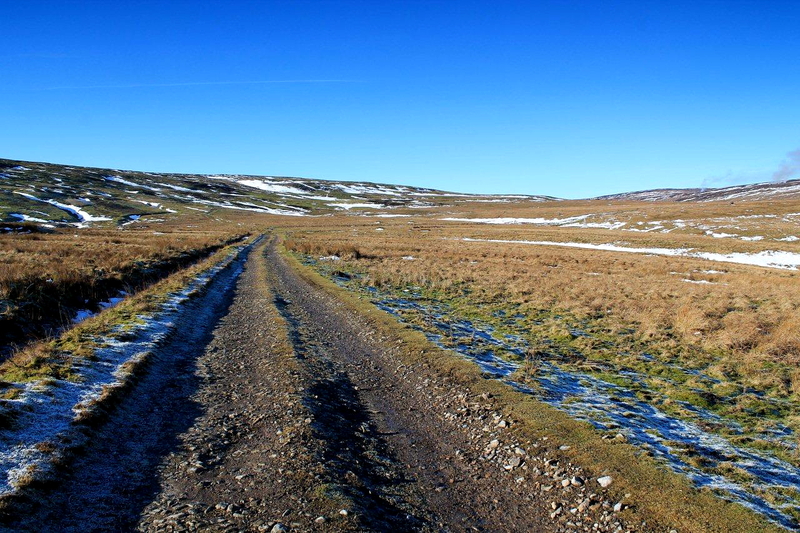 My route back to the van is the 1770 turnpike road from Tan Hill to Reeth. Basically, it’s a pleasant downhill plod along tarmac as the sun sinks behind my shoulder and the shadows of late afternoon lengthen. In the bleakest of countryside I pass through an area called “Adjustment Ground or The Disputes”. I haven’t a clue where these strange names originate. But again they illustrate, to me at least, that when you gaze beyond the popular milestones that represent our past – Hastings, Magna Carta, the Tudors, Victoria – the finer details, and the labours and passions of ordinary people, can be found written in the landscape. And that’s proper history. 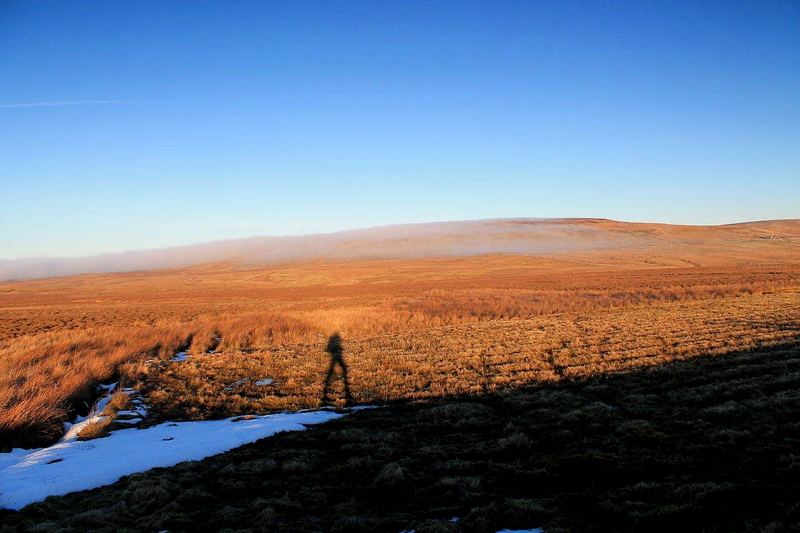 Ingleborough Archaeology Group, A survey of the north-west flanks of Ingleborough 2007 -2011, Turbary Ground, by Yvonne Luke. This is a fascinating paper, in PDF format, for anyone wanting to learn more about our peat-cutting past. 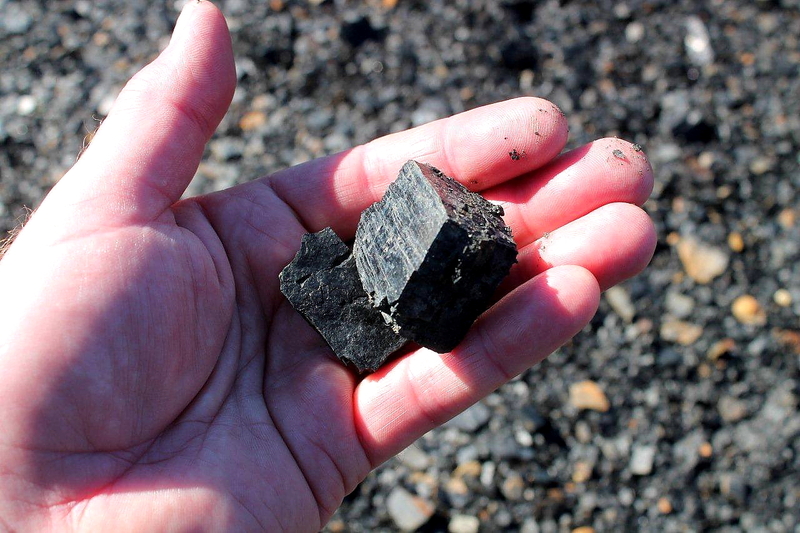 Digging Deep into the History of Peat, The Yorkshire Post. This entry was posted in Coal mining, Countryside and Rights of Way Act 2000, Environment, Footpaths, Hiking, History, horse gins, Hunting, Industrial archaeology, Mountains, Pennine Way, Railways, Ranting, Ruins, Tan Hill Inn, Traditions, Walking, Weather and tagged Cumbria, Mining History, outdoors, Pennines, WPLongform. Bookmark the permalink. Thank you for another very interesting and enjoyable article, with beautiful photos. 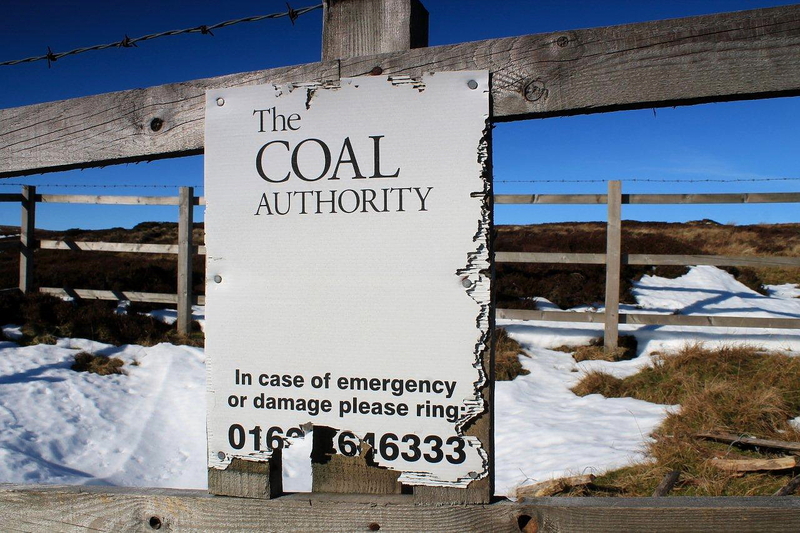 I am amazed that the Coal Authority has left it’s mark on the hills. Hi Alastair. Yes, there are more signs over on the Tan Hill mines. I’ve just taken a glance at the Coal Authority website to see what they actually do. There’s a vacancy for a GIS analyst if you’re interested. The Coal Authority website used to be good. Sadly the government version makes everything difficult to find. I tried to find out about their minewater treatment schemes. I resorted to Google in the end. Unfortunately most of the jobs seem to be down in Mansfield, which is too far south for me. More fascinating stuff cousin – and let’s hear it for the grimy folk! We are the Grimy Folk — we! Too little to love or to hate. Leave us alone and you’ll see, how we can drag down the State! 😀 Tell it to Cameron and IDS etc. Landscapes have a way of hiding their histories, but they’ll whisper it to anyone who has an interest. I still like these empty spaces, they offer so much potential without the distraction of enclosed waterfalls, twisting brooks.and yet another jaw-dropping two-thirds visual composition. Emptiness is relaxing, except when it becomes so empty it disappears, like in the mist. And £2.40 for three mugs of tea. I wish I lived a bit closer. Hi Chris. It would be really annoying if, while you were making the phone call, you were also riding a horse, because every time you answered it would stop suddenly and you’d be thrown forward. And if that’s not enough, one of Whaw’s neighbouring villages is called Booze. Which reminds me, I’ve never been to Booze so it’s about time I made the effort. Yes, empty landscapes can be a joy to walk through. I think they are very underrated. Especially when there’s a pub right in the middle of the emptiness. But then it’s no longer emptiness, is it? Wonderful photos. I just love the moors around there – a major stomping ground as a child when living near Hartlepool. Lots of camping holidays in Swaledale – and Ingleton – and apparently I walked my very first steps as a toddler in Muker. Hi Chrissie. It’s a great area for walking. I always go midweek, and hardly ever see another soul. You’ve got me thinking about taking my granddaughter now. 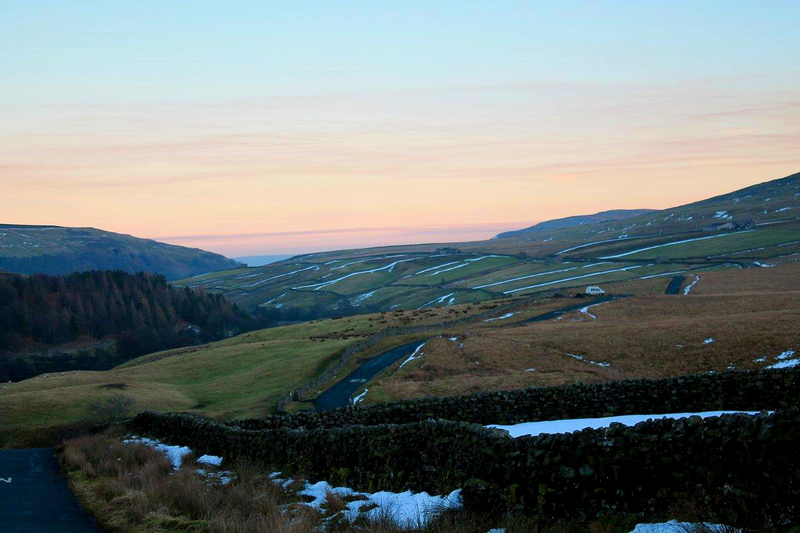 A stroll around Muker or Gunnerside would be ideal. Hi Quinn. Yes, and they felt like plastic. Part of a pagan ritual, perhaps? Stunningly beautiful in that winter sunshine. And I’d love to say I’d been to Whaw and Booze. I’d like to say that as well, but despite living within a few miles of Booze for nearly twenty years I have yet to sample its pleasures. 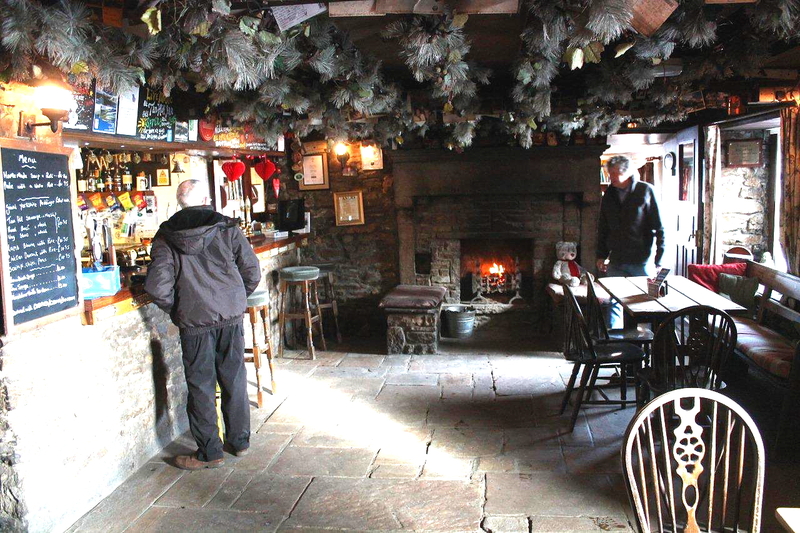 As Always a very very good post thanks Alen,I am off for a wash,I dont want to join the grimy people,sounds like a song to me.Then I might go to Tan Hill Inn,not been there for years.I am going to pass a link to a friend who loves anything lead mine! Hiya John. Thanks for that. 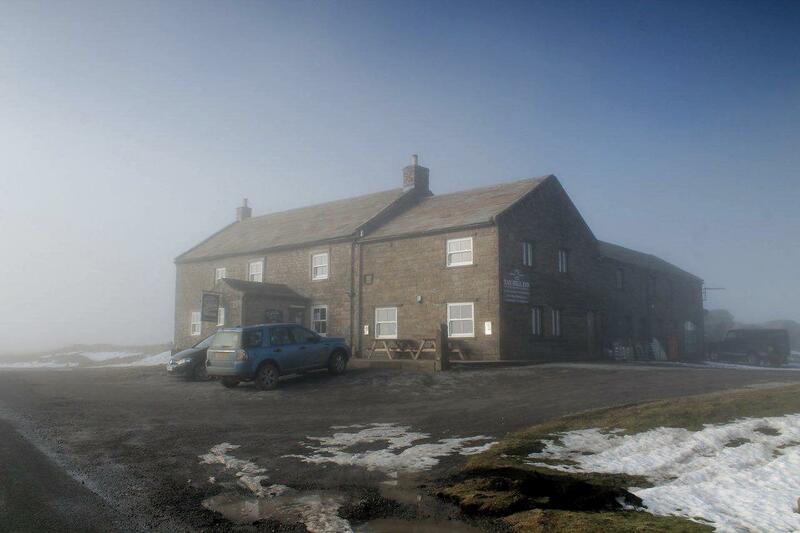 The Tan Hill Inn is a special place. I think that to survive in such a remote area and in such (at times) hostile conditions, is testament to its enduring popularity. James, it’s just the place for a man recovering from a sore knee. There are some great walks up there, as you know. Thwaite’s a pretty remote place in itself. 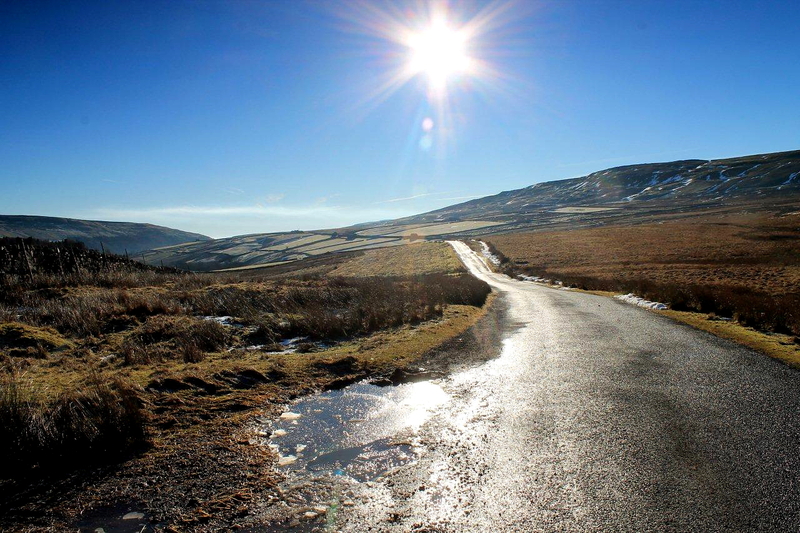 I’ve cycled through it a couple of times over the years – after calling at the Tan Hill, of course. Great post, Alen, and some fantastic photos! Love the blue shadows on the snow. The light must have been amazing. I am fascinated by those names, too. Hi Jo. It was a beautiful day – perfect for walking. A case of being in the right place at the right time – and that doesn’t happen too often. Never been up to the pub yet – must go sometime. 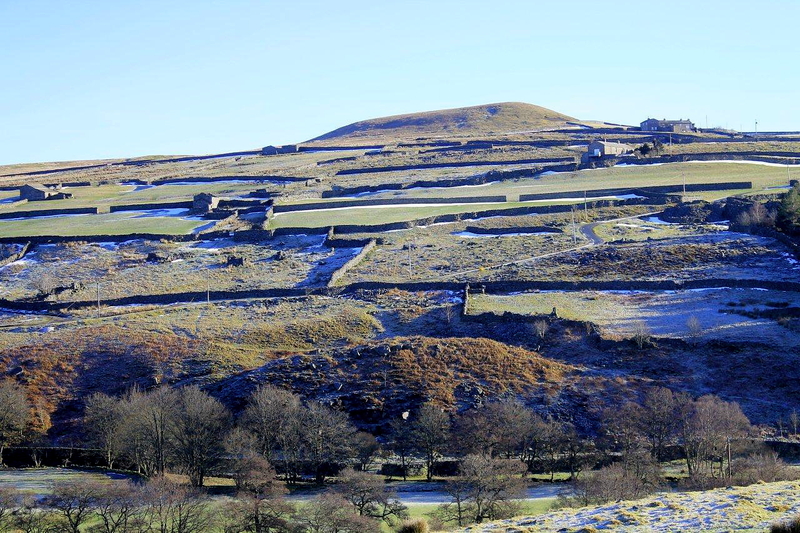 You picked the right time for a stomp across the moors – when the mosses are hard-frozen! You’re right about the shooting-lot once again – isn’t it time ‘shooting the shooters’ became fashionable – certainly more sporting. Love your quote; “the forces of low morality occupied the high ground ” – so true! We had turbary rights on our moor when we first moved to the village – but that was when we lived in one of the old cottages. Before we were forced out of that (the council said we could no longer have an outside loo and bath in the lounge in front of the fire) and ended up in the council housing in the village. Now I don’t suppose my parents have the right to much really. And you know, of course, that you couldn’t use the peat to light your campfire as it would be too wet I’m assuming… We used to stack it and dry it for the whole summer in the Hebrides. Hi Carol. Shooting the shooters would certainly be more sporting than blasting frightened birds that don’t shoot back. That’s the trouble with the hunting/shooting lot – they always pick on things that can’t put up a fight. Tackling wild boar with a pointed stick would even the odds a bit, or skinny-dipping for pike. Outside loos and tin baths. I had two old aunts and an uncle lived in a house like that in Askam-in-Furness right up to the 1980s. They didn’t have turbary rights, though. We take hot water and central heating for granted now, but nobody had them when I was a kid. If you wanted hot water you had to light the fire first. Didn’t do me any harm. And I just knew that if somebody was going to split hairs about the campfire it would be you. Fair enough, it would be too wet. I remember the old days in winter when you woke up and the inside of the window frames were plastered in lovely ice patterns. Very pretty but I couldn’t face it now. We certainly have become soft! You’ve got me going now. Dressing gowns spread on the bed for extra warmth. The smell of paraffin lamps. Frozen pipes. Chilblain ointment warming on the fender. Chapped legs. The hiss of gassy coal. Snotty noses. You’re right. We’ve become soft. I wouldn’t go back to all that but I’m glad I was there. Hi, Alen. Walking through the visible remnants of social history can be a mixture of fascination and heartbreak. It’s the remnants of old railways that resonate with me: so many lines used to go to places where I wish they still did; ideally at prices we could all afford. As for the shooters… well, I have a view, but I can’t go using language like that on someone else’s blog. Hi Dave. How true. As society advanced a lot of the good things were ditched along with the bad, and not always for the right reasons. I never could get my head round why a railway line that allowed people to earn wages and businesses to trade their products should be ripped up because it did not return a profit itself. We could rip up the M25 using that argument. PS I don’t mind bad language so long as it’s not directed at me. Hi Alen. I’ve been on Arkengarthdale Moor before. But the weather was bad on January 7, 2014. Well actually it was you who uploaded a post back then. It feels like I become familiar with the moors in Northern England following Walking with a Smacked Pentax too. This time you were in no need for unsecure rain gear and hopefully you didn’t paid Danegeld either. Your pictures are very evocative and the light is impressive. If I recall correctly, Hanna, it was your mention of Arkengarthdale being settled by the Vikings that prompted me to walk from York to Stamford Bridge and get covered in mud. The only Danegeld I paid was to the bus driver who took me back again. I like James’ posts on Walking with a Smacked Pentax. He comes up with some fascinating stuff. One day we’ll bump into each other, I’m sure. I hope James and you have your grandchildren with you if you meet. The children can form a marvelous couple of mountaineering. 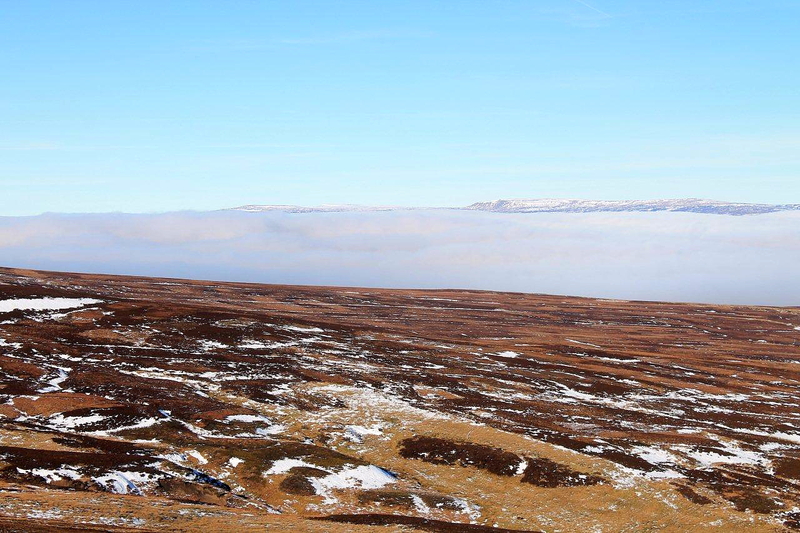 What a fantastic day for a walk on the moors Alen. Your photo’s do justice to the light and texture of the rolling landscape, it’s all to easy for photographs to come out looking flat and lacklustre with wide open moorlands, unless you know what your’e doing, as you clearly do. I think the shooters should only be allowed one air rifle to shoot at birds, that would be more challenging. Not that I agree with what they do – I can’t stand them. Hi Mike. I like the idea of the air rifles. That sounds much more sporting. I had not heard anything about the access/tax relief scheme so that one’s a bit of an eye-opener for me. Thanks very much for providing the link. I’ve just had a quick look at the site to see what it’s all about, and I shall return for a more leisurely look later. 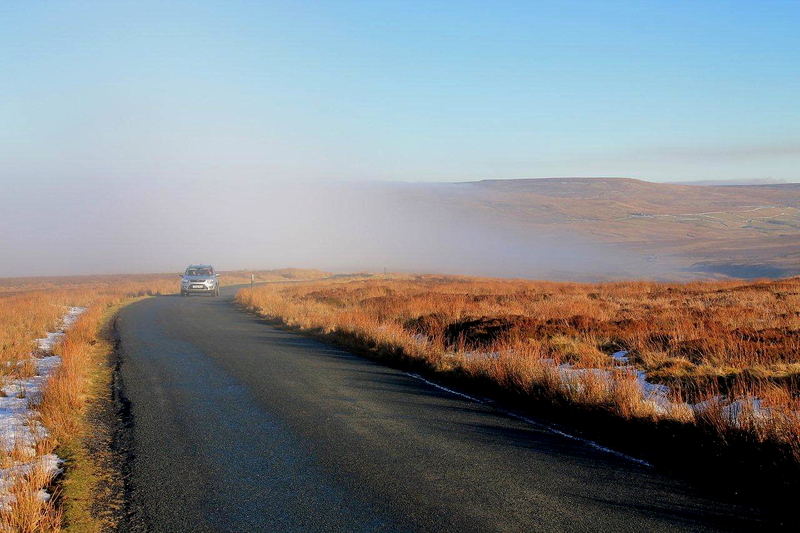 A ‘fog bank welling up from Cumbria’ – typical of those Cumbrians, dumping their fog in Yorkshire. I remember the ’emotional’ response from the landed gentry, and their friends in the NFU and CLA, to the idea that other human beings might walk on open country when Countryside and Rights of Way Act was being debated. Can’t imagine the response if it had included turbary rights as well – actually I can imagine the response. Hi Paul. Tory MP Nicholas Soames wrote in the Telegraph on August (the Glorious) 12th five years ago: “I bridled strongly when Labour introduced their Right to Roam, fearing that it would be misused by the hard Left to stir up unnecessary trouble in the countryside.” Give him his due, he admitted he had been wrong and that the legislation had worked for the good of all, but I think his attitude was typical of most landed types at that time. Quite what he thought the “hard Left” was going to get up to I have no idea. ‘Unnecessary trouble’? Finding it hard to put my finger on what that might be. I understand his concerns, who wants to see Marxists picnicking on the grouse moor? I recall all those wild, accusatory claims that were pushed out in the more than willing Rothermere/Black/Murdoch papers. My favourite was their concern for Madonna’s wellbeing on her estate in Wiltshire – they even printed a handy stalkers guide in the form of an arial photo of Madonna’s house. Obviously, had nothing to do with Rothermere’s estate just down the road. My heart went out to Madonna, with her privacy being invaded by all those screaming crowds in boots and waterproofs. If I remember correctly, Jeremy Clarkson had a similar run-in after buying a house that had a footpath running through its grounds. It’s a cruel world when you can’t get away from the people who contribute to your wealth. Over 50 years ago, in my early twenties, myself and a friend went this way. My father had given me a book, ‘Green Tracks on the Pennines’ which covers various pack horse tracks. We were dropped off at the foot of Punchard Gill, less barren then than now and with a decent building at the top. Following the track was fascinating as though at times it was little more than a sheep track you could tell that it was a ‘proper’ track being in parts flagged and with some small decent bridges in others. The walk round Annaside Edge gave superb views and I hadn’t been aware of this bowl before. I agree, even then in the early 60s the path between Williams Gill and Tan Hill was somewhat elusive. But in those days there were no Coal Authority signs around. Not wanting to expend too much more energy we hitched a lift from Tan Hill back down dale with a couple of young men! 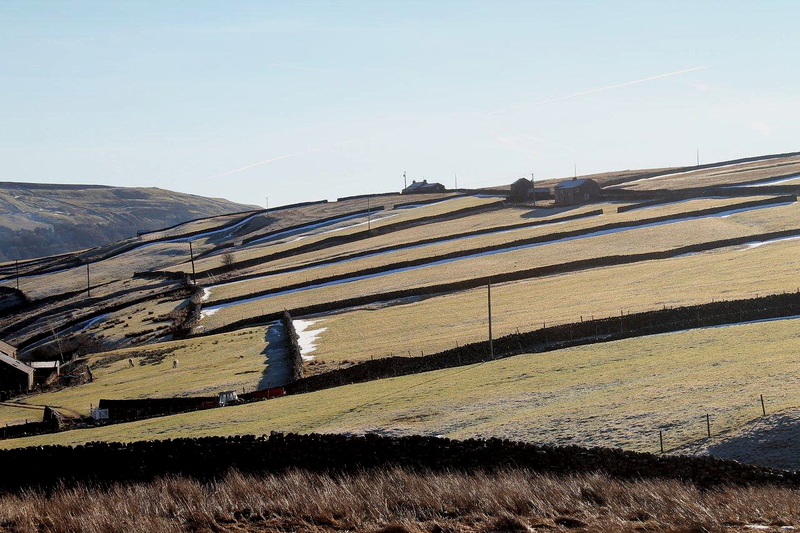 Incidently I like your photo of Kitley from the side – my grandfather was born in a cottage there, became a joiner in the lead mines then moved to Harrogate in the late 1800s/early 1900s to be a joiner there. Hi Mavis. Thanks for your comment. What a great tale. I had a feeling the track had been more substantial at one time and had perhaps been paved. You get a feel for these things after a few years of tramping over moors. I, too, had not been aware of the bowl beneath Annaside Edge, and I was very impressed with the views and the way the path hugs the very rim as it makes its way round. That was completely unexpected. I see Green Tracks on the Pennines is an Arthur Raistrick book and you can still get hold of copies, so I shall look into acquiring one. It’s a book I’ve not heard of before, though I have seen other books by Raistrick. I walked over Kitley to Faggergill a few months back. It’s a beautiful area, but I bet those cottages were draughty and grim in your grandfather’s day. Dear Alen/ I am rather surprised that you as a journalist have not bothered to find out more about subjects with which he is not familiar – strolling through centuries of history with a resounding “I haven’t a clue where these strange names originate” with camera in hand is grossly insulting to the poor sods who once worked under and on these lands. With regard to Adjustment Ground or The Disputes, a good start might be made with this article in a local magazine by the late, great Lawrence Barker, who lived in Healaugh, historian and an authority on lead-mining. Incidently, in the 1950s when I was growing up in Reeth, we locals found it incomprehensible but nonetheless rather amusing that visitors always seemed unable to pronounce Healaugh correctly. Whah-time conditions apparently still persists. Some of the underground workings were enormously complex. 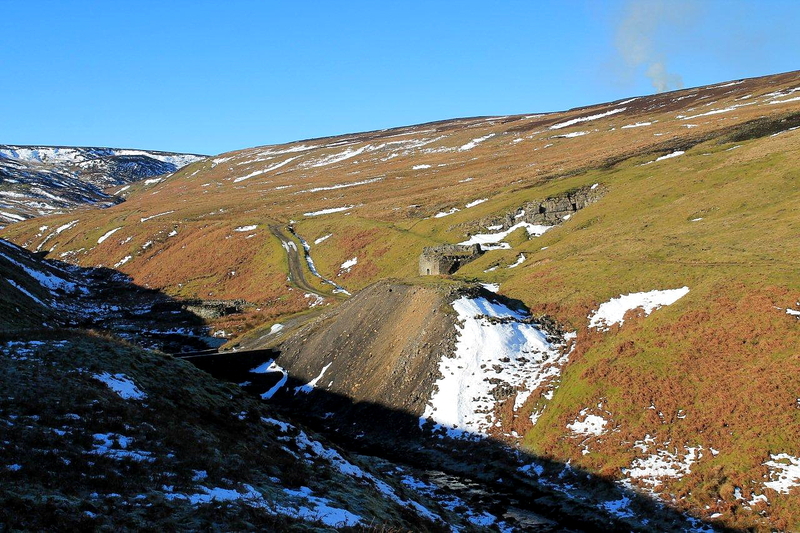 At one time it was possible to enter levels in Gunnerside Gill and, via crosscuts and waygates, to pass through the Surrender Mines and emerge at the mouth of Old Moulds Level in Arkengarthdale, a total distance of seven and a half miles. This pattern of small, isolated mines operated by partnerships of a few miners continued until the 17th century, when the boom in the industry brought in a number of mining entrepreneurs – men such as Dr. John Bathurst, physician to Oliver Cromwell, and his grandson, Charles, who mined much of the Arkengarthdale area. Lord Wharton, and later Lord Pomfret, also belong to this period, a period which also saw the rise of the larger mining companies, such as the London Lead Company. There were several disputes over mineral rights, particularly since the seventeenth century. 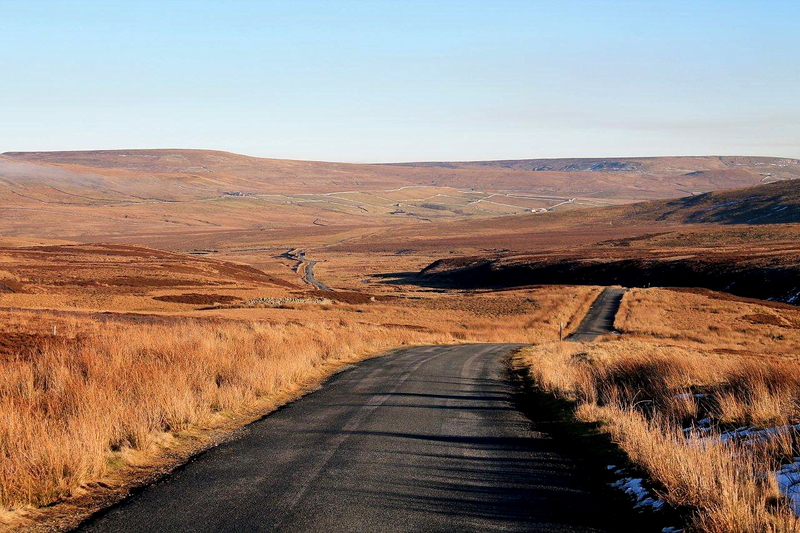 A notable one was between Philip 4h Lord Wharton and John Bathhurst in the mid 1670’s over the boundary of the Swaledale and Arkengarthdale estates at Wet Shaw (later Surrender mines), a particularly rich mining area. The initial case was found in Bathhurst’s favour. A recurrence of the dispute took place in 1699. the result of which, after several more years, was finally resolved in Thomas, the 5h Lord Wharton’s favour. A close reading of the numerous works by Arthur Raistrick,over and above those on making tracks might prove to be a very sold launch from the shoreline out into the vast ocean of ignorance with which we are all confronted. Someone recently sent me a copy of Ellie Harrison splashing around in this way at Tan Hill in a BBC programme Secret Britain – this episode was so appalling I could hardly believe my eyes and ears. I hope no one does this kind of song and dance over my grave! Thank you for your comment, Alan. Had Adjustment Ground or The Disputes lain within the lead-mining area then I would have suggested that the name did indeed originate in a legal wrangle over mineral rights. But it doesn’t; it lies several miles to the west of the nearest lead mine. 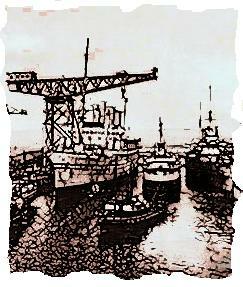 The nearest workings are the hilltop collieries, none of which extends to the area in question. 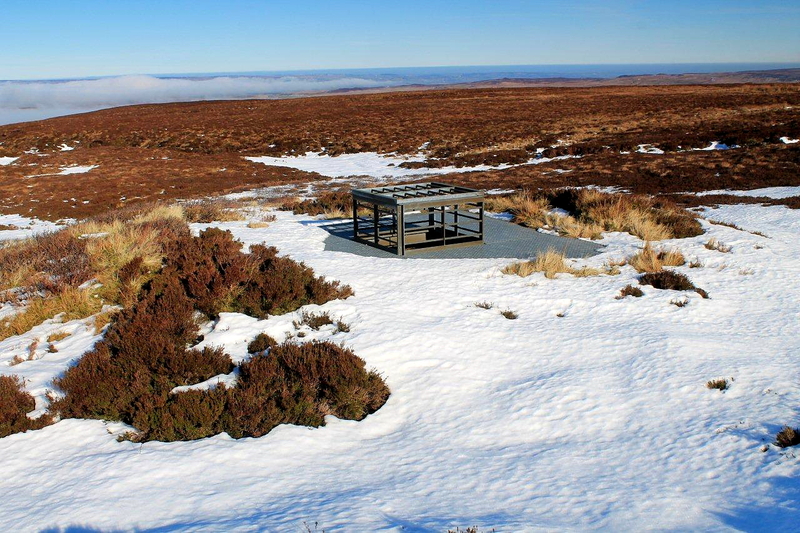 The name occupies a basin of moorland where no mineral workings (certainly not commercially viable workings) can be found. It may well be that the dispute took place at a time before the extent of the veins was known and the participants were taking a gamble on future reserves. If this is the case then I stand by my original statement. “I haven’t a clue where these strange names originate”. I’m inclined to agree with you on the Ellie Harrison programme. It was very shallow and disappointing. Thank you for this fantastic blog. For a number of years I have found the lead mining of the Dales and the coal mining around Tan Hill fascinating subjects. You have brought them to life. Last week, by coincidence, I did the same walk as you from Whaw Bents to Tan Hill. A fantastic walk. Can you help me with an explanation of the map around William Gill? According to the map the bridleway to the east of William Gill joins the gill very close to the “pecked” footpath line which is, I think, the route to Tan Hill. In reality, however, the path up the west side of William Gill, marked by a pile of stone on the ground, is some 200m further south west along than from where the bridleway comes in to William Gill. I am wondering if that bridleway on the map is the same as the clear track that is on the ground? Perhaps the track is a more recent shooters track that has not been mapped? I am also fairly sure that the track running alongside William Gill extends further to the south west, towards William Gill Colliery, than is marked on the map. Anyway, we could not find the path from William Gill to Tan Hill although I know from previous visits that it does exist. It is in places well marked with cairns. The heather slog was an unfortunate end to the march for some of our group and I am sure the key to it is getting the right place along William Gill where the path kicks in. Any help you can offer would be much appreciated. Hiya David. Glad you had a good day and a great walk. It’s a fantastic area to explore because it’s so chock full of history. Regarding the footpath ccontinuation from Willam Gill: I had the same problems as you. Twice I’ve looked for the footpath heading onwards to Tan Hill. On the first occasion I climbed a steep bank up the gill side where I reckoned the footpath should have been and tramped through heathery moor. The second time I followed a bit of a track, and wwhen this petered out I just blundered on. I don’t think either was the route shown on the map. But after half a mile or so there is a vague path which passes a cairn on the crown of the moor, aand then another vague path to the pub. There was a nasty section which cut dowwn into a peaty grike, if I recall correctly.